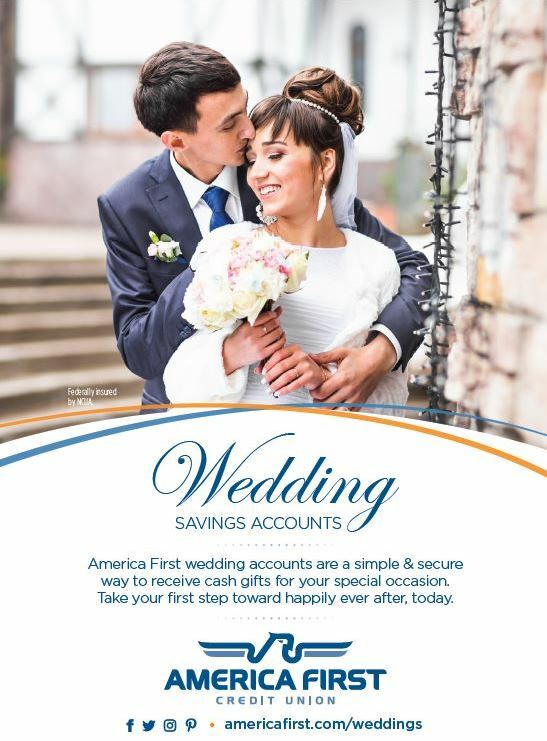 Get A FREE Brochure from "America First Credit Union"
Our wedding accounts are the perfect choice for couples hoping to receive the gifts they really want – cash. Use the funds to make a down payment on your first home, pay student loans, or for any of your newlywed financial needs. How does a wedding savings account work? Couples open accounts at any America First branch. We’ll provide registry announcements – cards for announcements & invitations. Family, friends, guests & well-wishers can then contribute. Guests will need the last name of one of the wedding couple, or the wedding account number, to provide their gifts. Call 1-800-999-3961 and pay with a credit card or one-time electronic transfer, incurring a convenience fee. Those giving gifts will get certificates with the appropriate information or we will mail it to the couple at your request. America First wedding accounts are a simple & secure way to receive cash gifts for your special occasion. Take your first step toward happily ever after, today. Our wedding accounts are the perfect choice for couples hoping to receive the gifts they really want – cash. Use the funds to make a down payment on your first home, pay student loans, or for any of your newlywed financial needs. Home, Auto, Visa, Investments, Mobile Banking, Bill Pay and much more! 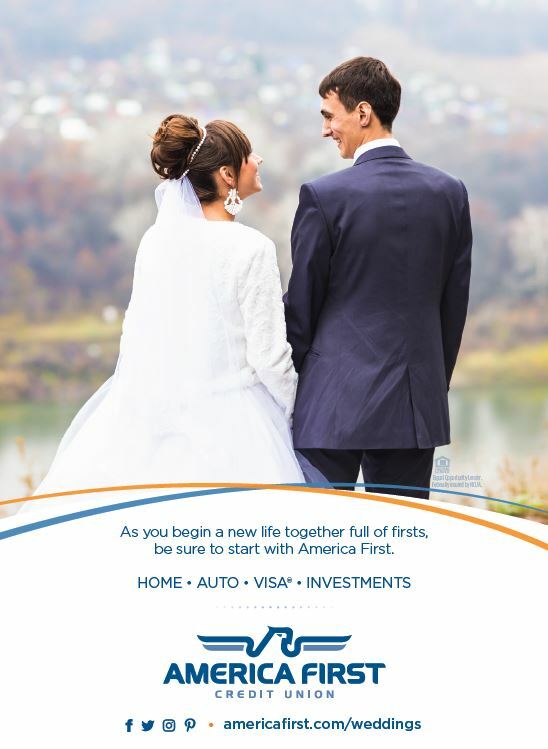 Please mention Salt Lake Bride when you contact America First Credit Union!